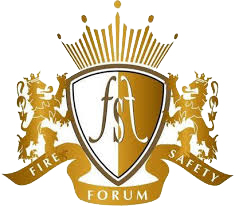 World Safety Forum is a charter body under the 193 country consortium, actively addressing and eradicating the sustainability issues in association with Fire and Safety Forum. World Safety Forum strive to find a sustainable solution in the disaster management, water pollution, environment pollution, deforestation, destruction of wild life, women-children-weak citizen empowerment, industrial accidents, carbon emission, global warming and so on. The platform integrates health safety environment management as a key role of the CSR of every industry to cut down or find a solution at the source of these issues. Every month Global Safety Summit conducted by World Safety Forum, identify the risks in the society and address them to the local and central governments to take proactive steps to have a safest environment and better standard of living by protecting and preserving the natural resources. WSF chartered members train the public on protecting the nature and taking proactive measures when it comes to their day to day life. Through the effective train the trainer program professionals can become authorized trainers to implement the standards of environment safety and occupational health and safety directly in the industries.